These red celluloid devil earrings are circa the 1940s. 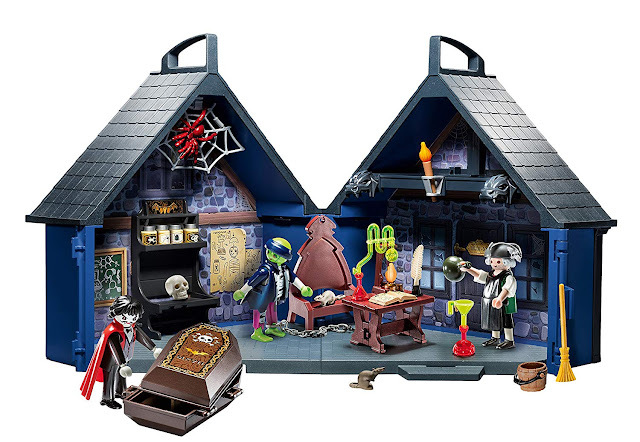 They feature screw-backs to hold them in place. 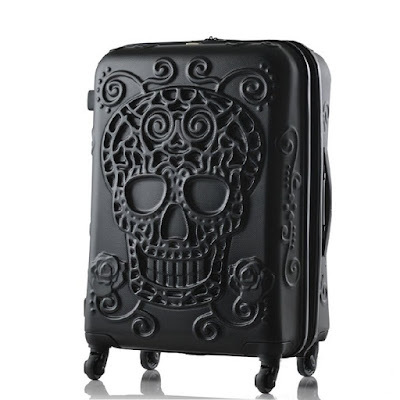 Here's a similar pair on Etsy, but the picture is blurry so I didn't want to include it here. These sterling devil earrings are a bit more menacing looking. These "Angel/Devil" earrings are by Betsey Johnson. Their ears make them look a bit catlike. 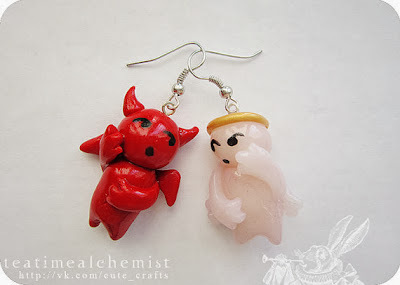 I'm getting a kick out of these angel and demon earrings, but they might be too cutesy for you. 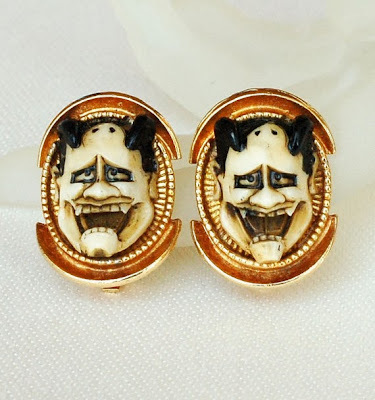 These devil earrings are from the 1960s. Funky!